Oklahoma City, Oklahoma – October 7, 2008 - LSB Industries, Inc. (“LSB” or the “Company”), (AMEX: LXU), today announced that HR 1424, The Economic Stability Act of 2008, which was approved by the U.S. House of Representatives on Friday, October 3, 2008, and signed into law by President Bush, included tax incentives in the form of tax credits, that should encourage the purchase of residential and non-residential geothermal heat pumps (GHPs). 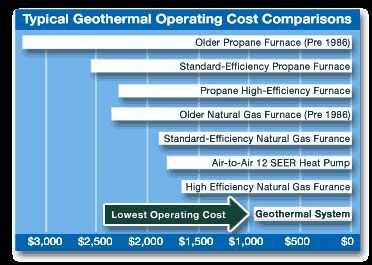 LSB, whose ClimateMaster subsidiary is North America’s leading manufacturer of GHPs, noted that the provisions of the bill applicable to GHPs are: up to $2000 of federal tax credits per system for private residential systems and federal tax credits equal to 10% of the total geothermal system cost for non-residential systems, with no per system limit. Both of these tax credits will remain in effect for 8 years and are exempt from the Alternative Minimum Tax. We believe that GHPs are the most energy efficient way to heat and cool homes and businesses. LSB is a manufacturing, marketing and engineering company. Through its subsidiaries, LSB’s principal business activities consist of the manufacture and sale of commercial and residential climate control products, such as geothermal and water source heat pumps, hydronic fan coils, large custom air handlers, the manufacture and sale of chemical products for the mining, agricultural and industrial markets, and the provision of specialized engineering services and other activities. LSB Industries is included in the Russell 2000 Index and the Russell 3000 Index. This press release contains certain statements which may constitute forward-looking statements within the meaning of the Private Securities Reform Act of 1996, including, but not limited to, tax incentives should encourage the purchase of GHPs, length of time for tax incentives for GHPs, GHPs are the most energy efficient way to heat and cool homes and businesses, tax incentives should provide a vital investment in the GHP industry infrastructure, and sales of GHPs. Investors are cautioned that such forward-looking statements are not guarantees of future performance and involve risks and uncertainties, and that actual results may differ materially from the forward-looking statements as a result of various factors, including, but not limited to, general economic conditions, development of new technology, new legislation that could change the tax incentives for GHPs, and the “Risk Factors” contained in, and the other factors listed under the heading “Special Note Regarding Forward-Looking Statements” in our 2007 Form 10-K as amended by our 10-K/A Amendment No. 1 and our Form 10Q’s for quarters ended March 31, 2008 and June 30, 2008.